Newcastle United must attempt to sign Tottenham forward Vincent Janssen in the January transfer window with the Dutch international likely to be available due to his lack of game-time in North London. Janssen, 24, spent last season on loan with Fenerbahce but since returning to Spurs, he has not made a single matchday squad in competitive fixtures despite being fit and looks as though he could be on his way out of the Premier League giants in the near future. 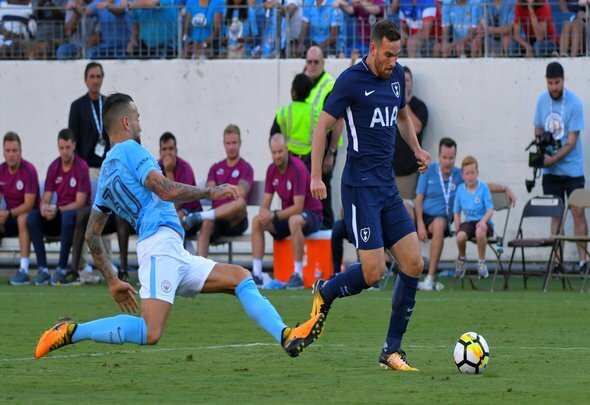 In the summer, the London Evening Standard reported that Janssen was up for sale after failing to prove his worth since his £17million switch from AZ Alkmaar in 2016. Janssen scored six goals and supplied four assists in 39 appearances across all competitions in his debut season for Tottenham and when you consider the fact that that he was playing second fiddle to Harry Kane, that is not a bad tally. Last season the £34,000-a-week (Spotrac) forward was loaned out to Fenerbahce where a broken foot disrupted his stay in Turkey as he made just 18 appearances, yet he still managed five goals and four assists. Janssen is someone who still supplies goals and assists even when it is hard for him to do so, and that is exactly why Newcastle must sign him in January. Rafa Benitez’s current forward options are well below par. Salomon Rondon has just one goal since signing on loan from West Brom, which was against Championship club Nottingham Forest. Joselu is useless but has somehow overachieved to score twice and Yoshinori Muto has only scored once as well. If Janssen started every week he would be scoring the amount of goals that a club like Newcastle needs to avoid relegation from the Premier League. St James’ Park would erupt if Benitez was able to make such a signing. Not only would Janssen be able to score the goals that the Magpies need, but he could also be available on a cheap deal with his contract expiring in 2020, and Mike Ashley loves a bargain.